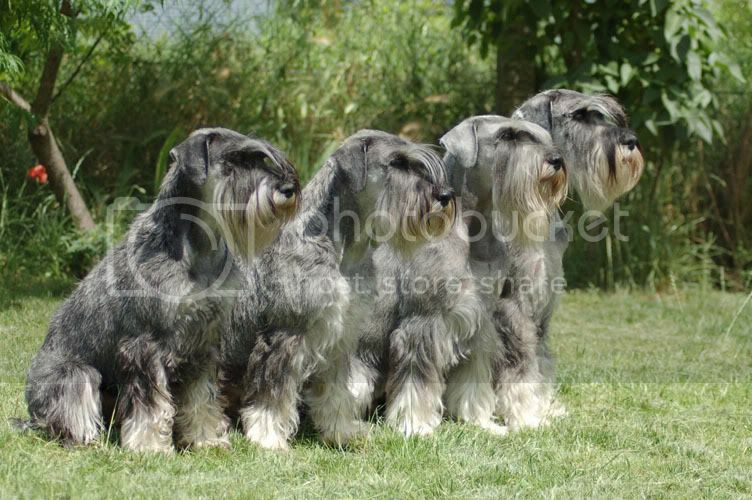 The puppies will be born in end of January. More information at the "Puppies"! 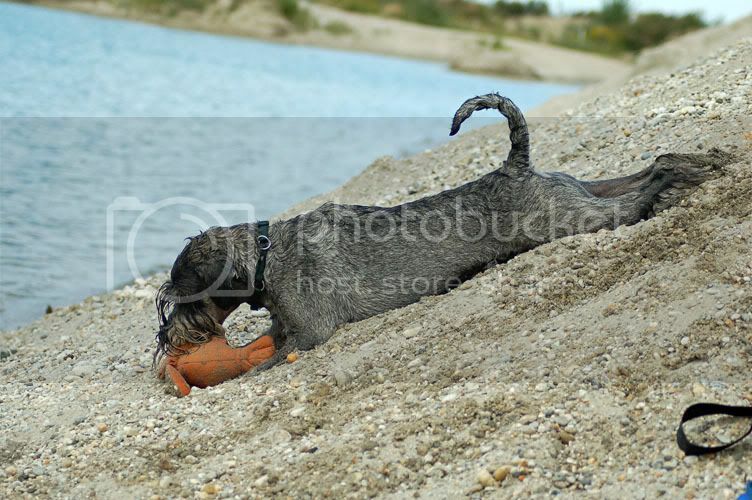 Szürke-Márvány Igazi - 'Alex', my first Schnauzer, we say thank you for everything! More than 15 years he lived with us, today would be 20 years old. Alex, we never forget you! and the jumping parcourse was similarly well done, fast, accurate and faultless. 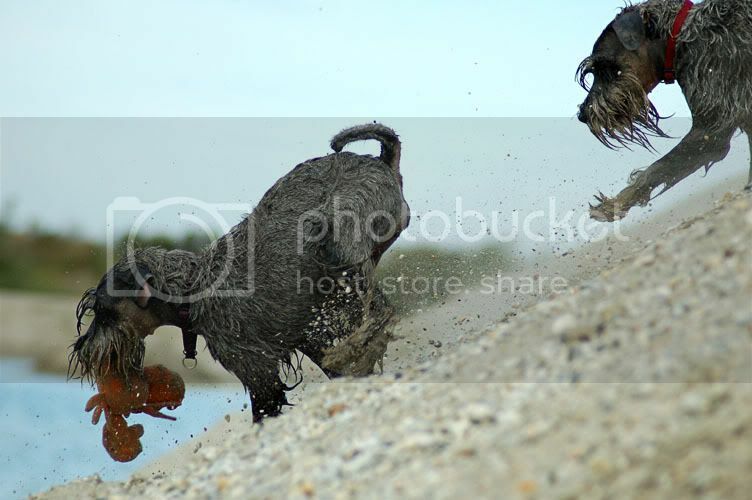 :o))) Hurrrraaaaah! 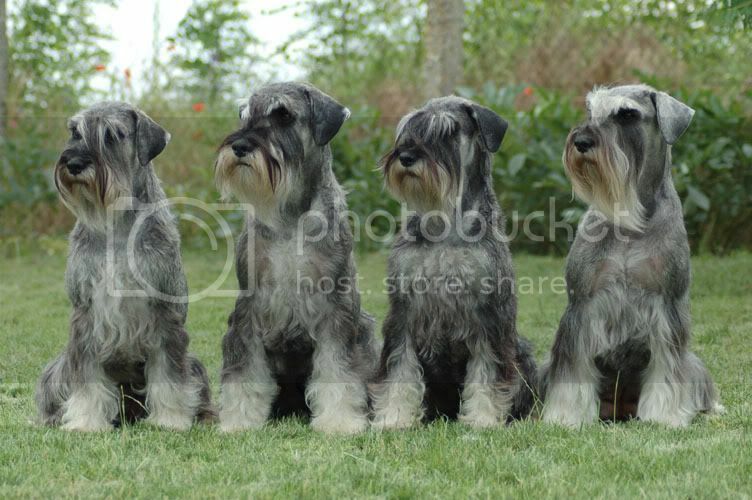 After the second run went to the ring of Schnauzers quickly because Odry also came next. 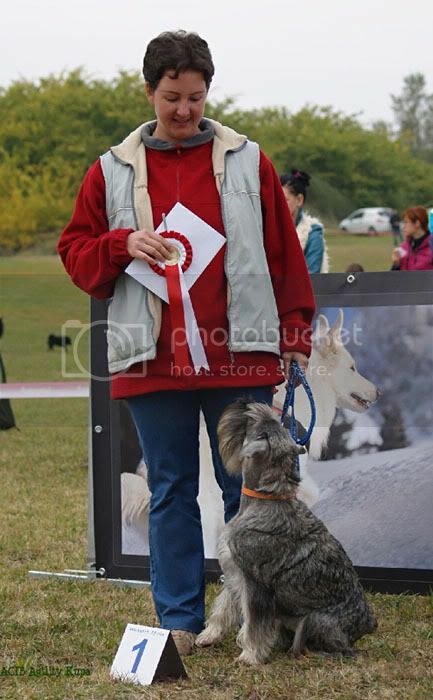 We participated in the show as member of the obedience team on Sunday. Although the weekend didn't start easily but finally ended as the best possible. 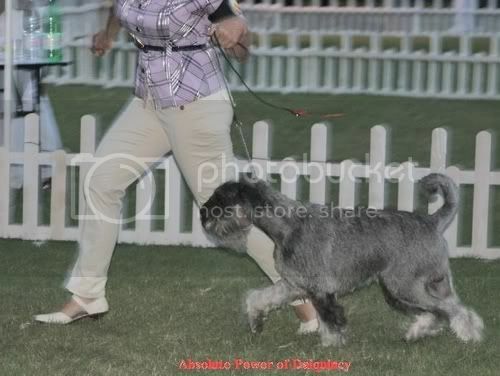 Both of them participated in intermediate class. Many nice things had happened in the past months. Lucia and Grace (Amazing Grace) began their sport career in Austria! after that on 18th September they completed the next BgH1 exam with 90 /100 points! We wish you good luck for the next time! 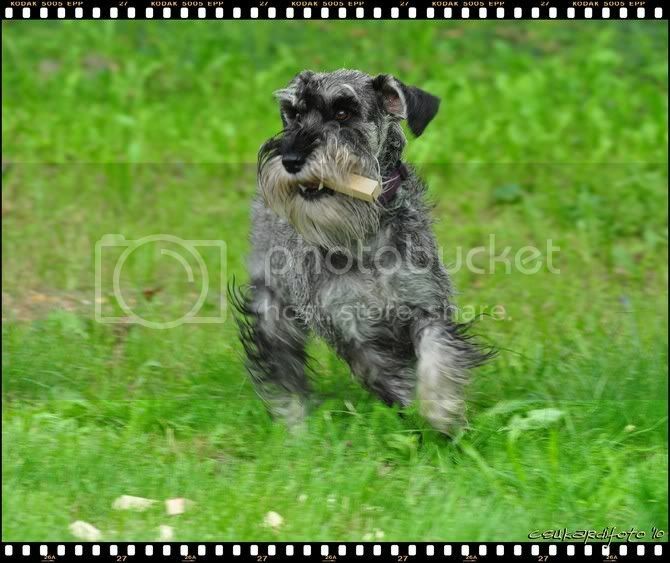 Thanks to Marlene for the nice photos! enthusiastic face with some clowning. : o))) Thanks to Renate and Vera! 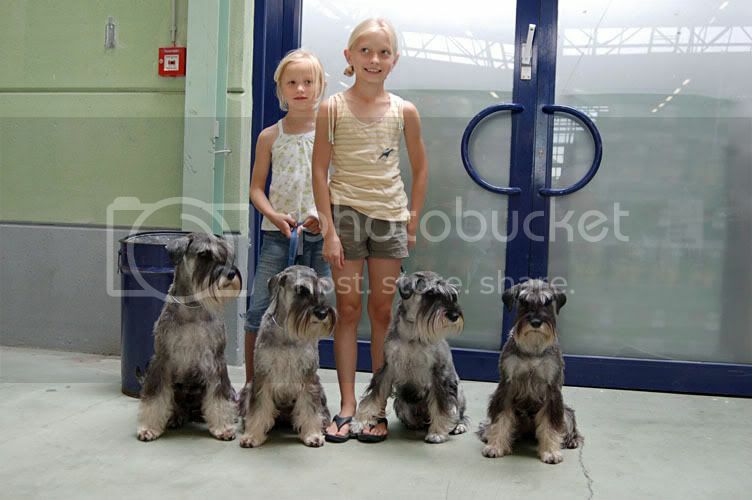 Another 2 Schnauzers came to the seminar, Bonie the Miniature and Zeus the Standard young boy. 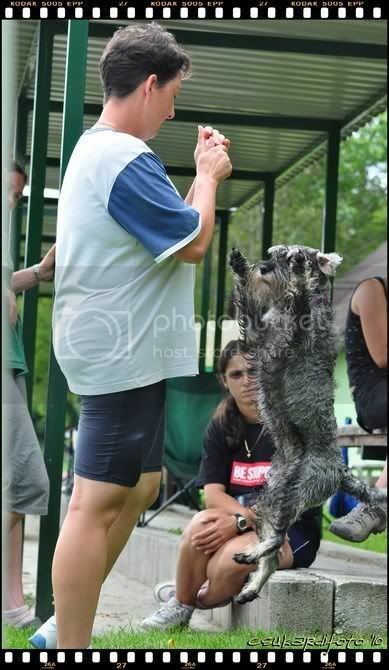 We hope so much, that this sport will begin in Hungary too! Dunaszentpál, Budapest, Vienna - 3 agility competitions and agility exam in Tordas. We dont give up and the point is that we all feel good! 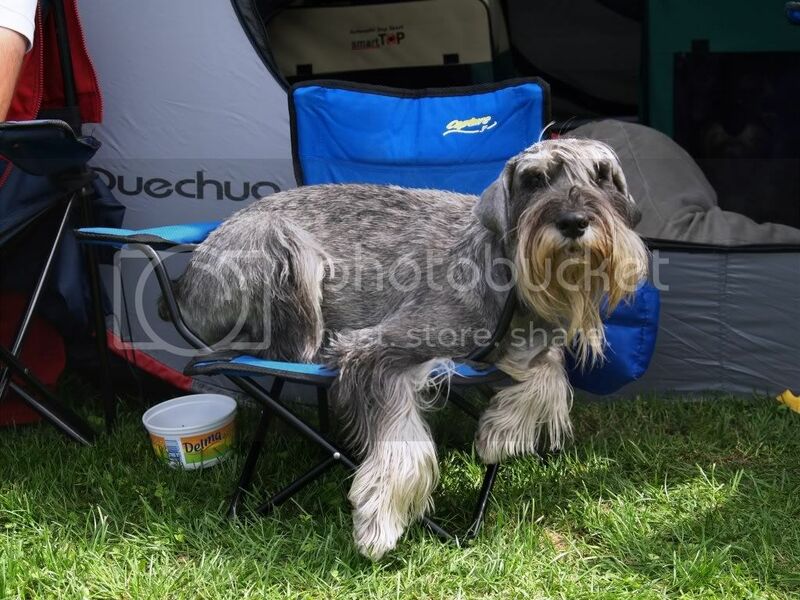 We have some photo of relax on the competotion. 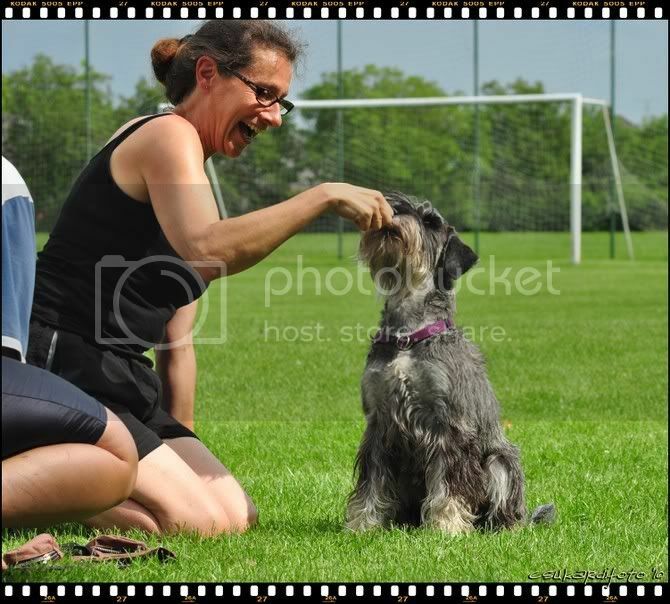 :o) Thanks to Csilla for these sweet photos! 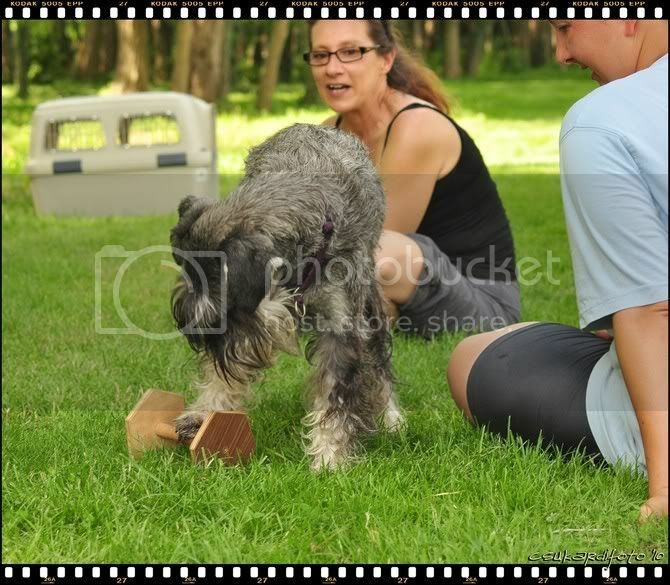 very interesting presentations on the dogs, clicker training, animals in the moving, dog foods, etc. due to cancellation of the competition, so it is likely to wait until spring with this. In the meantime, we're training and learning more. 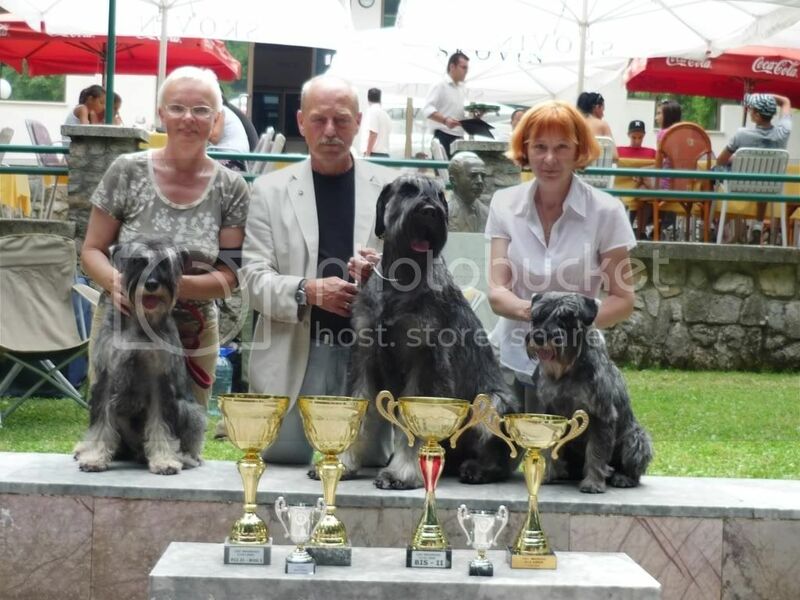 Because of the change of the judge, Pettko Csaba judged the Standard Schnuzers too instead of Zlatko Kraljik. 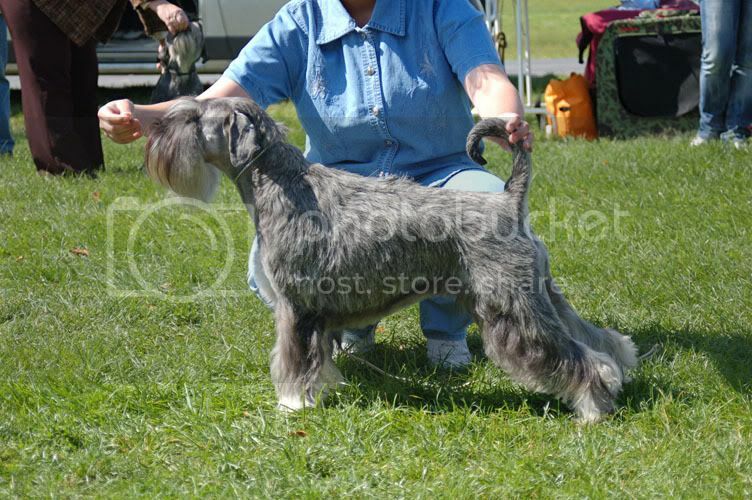 Skippy (Around The Clock) won exc.1., CACA, CACIB. 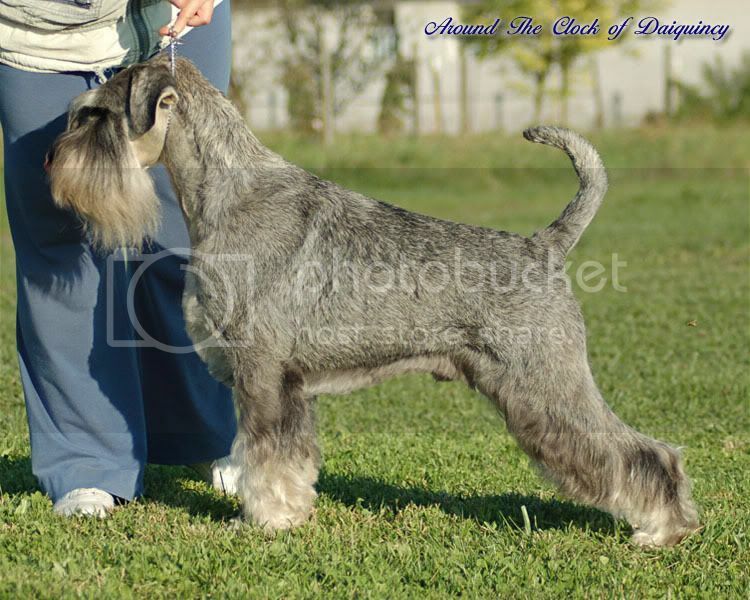 but managed to be trimmed too late and her coat grew very slow, so she had almost only undercoat. The result: very good. :o( The only complaint on the critique was that the coat was soft and too light. 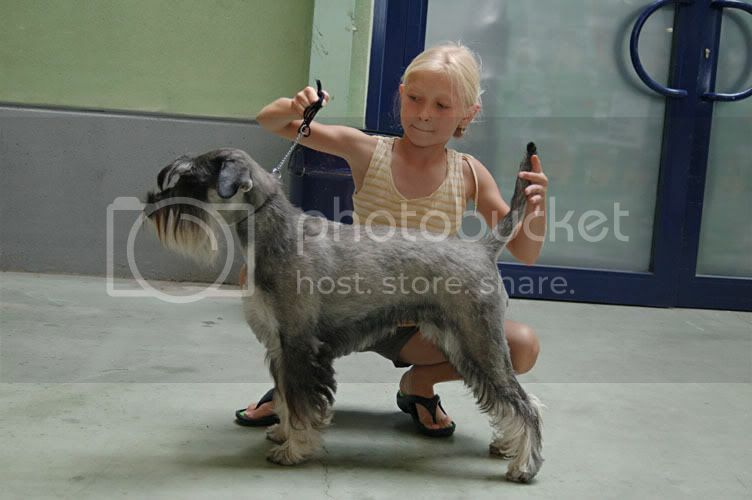 We are very sorry, and we know that it isnt easy to prepare the coat of a young Schnauzer for the show. 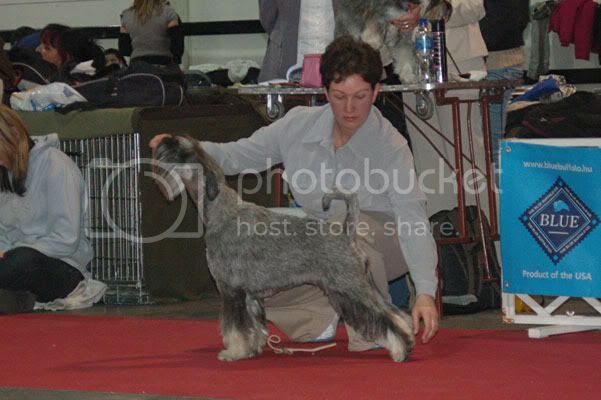 Look for the results and photos under the title :Shows! 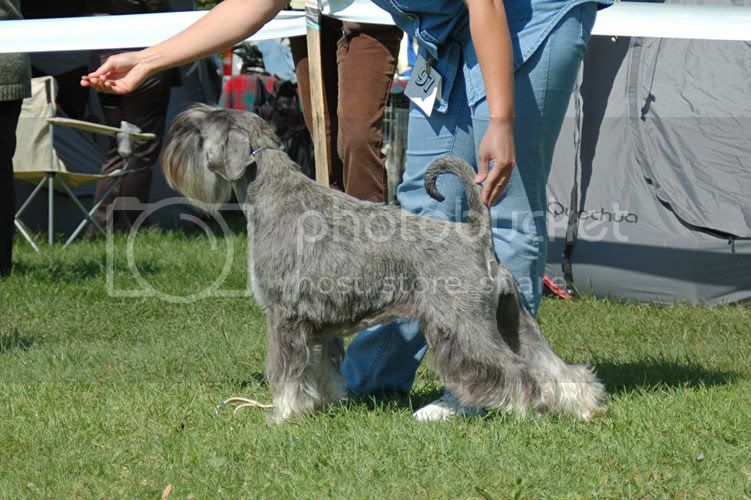 Odry (Apple Pie) won exc.1., CAC, BOS. and many thanks to Svetlana, Liudmila, Irina and Tico! Skippy exc.1., CAC, CACIB, BOB and Res.Best of Group! 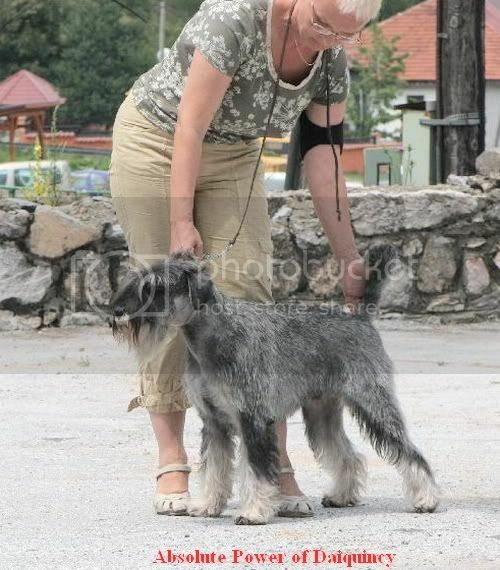 Moyra (All That Magic) started in intermediate class first time in Nagyvazsony, on 30th May. 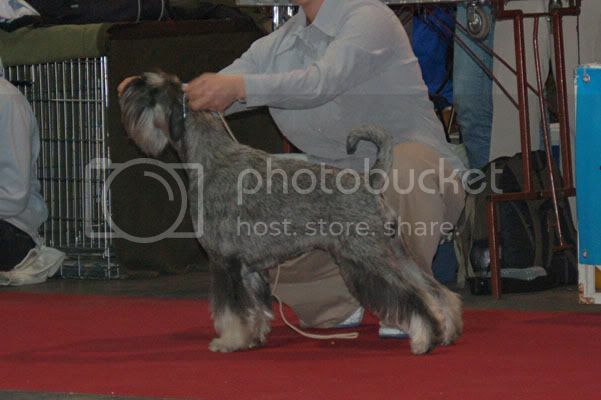 Tico also began with very nice successes his show career in intermediate class in Moscow. 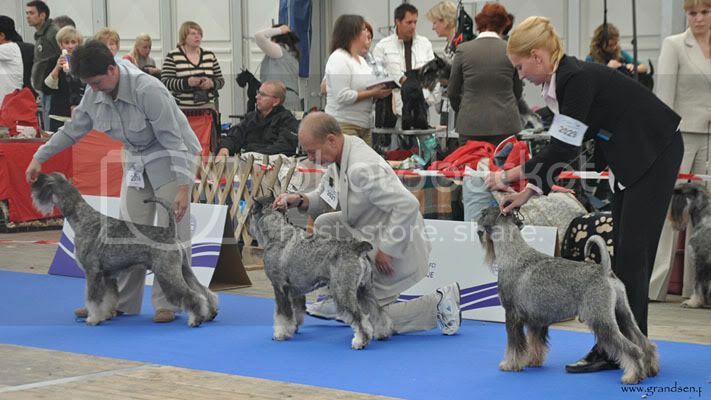 16th May - "Arta" show: exc.1., CAC, CW, BOB and Best of Group! 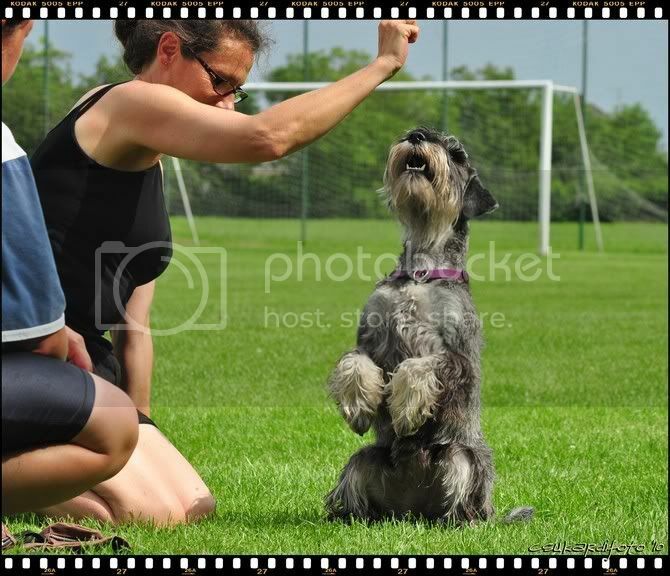 22th May - Schnauzer Speciality show: exc.2., Cert. 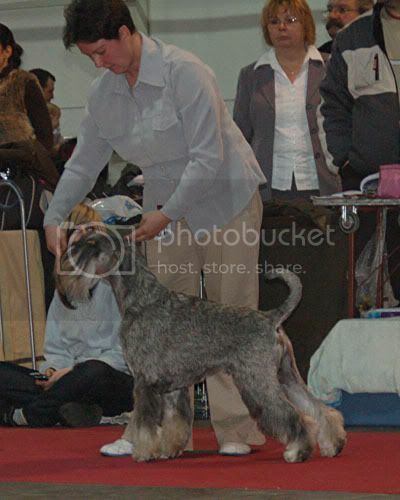 Tico (Absolute Power of Daiquincy) completed the Champion of Russia term! 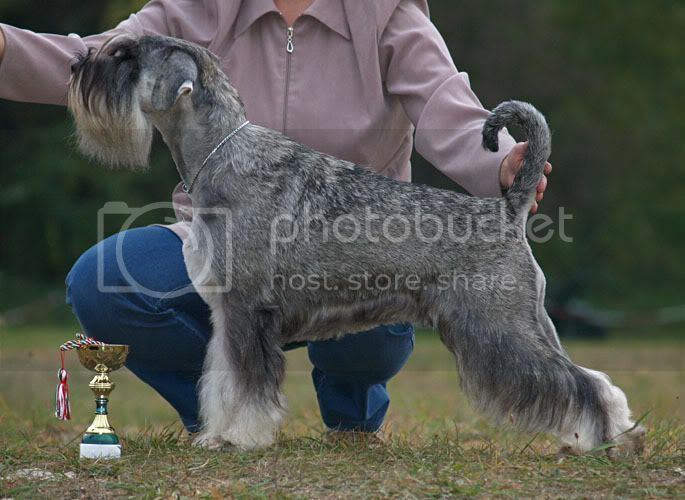 Nalle Jansson from Sweden (he will be the judge on the world agility championship of 2010). 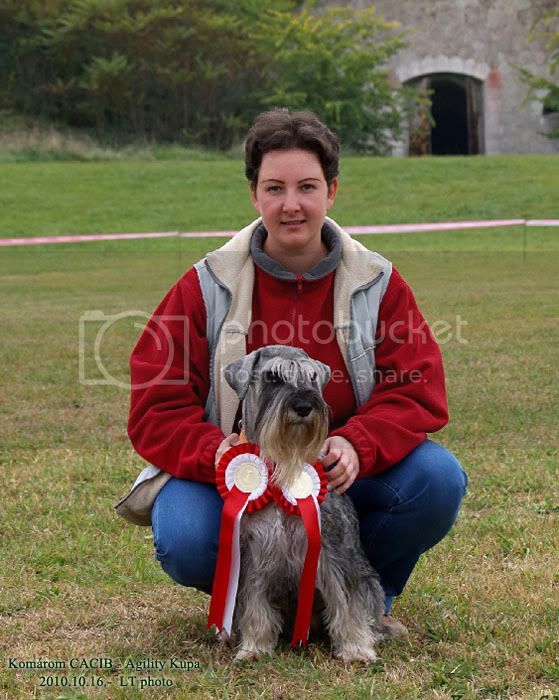 The competition moved on 2 parcours with 6 starts (3 agility, 3 jumping). We started on 5 parcours with faultless, 1 and 2 faults as well as 2x dis. results. 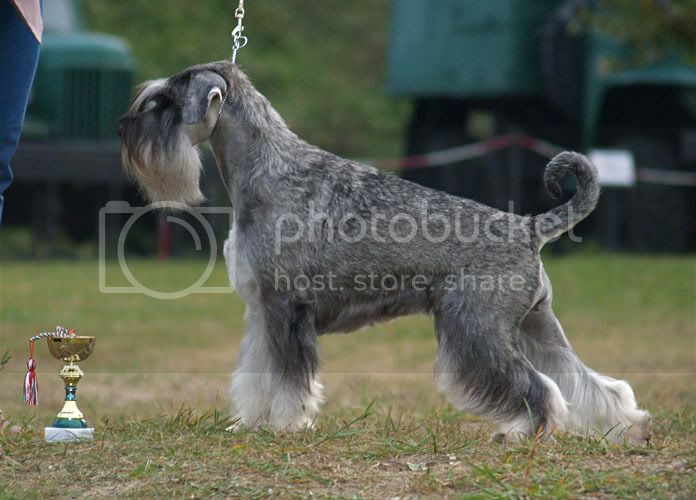 tried to understand the Japanese judge's concept for his judging and his idee for the breed, but nobody succeeded. were incredible yet. I feel it so, we were lucky because all three of our dogs obtained the "excellent". Looking for the results at the "Show". We finished with 207 points ("good") on the 5th placed. :o) We have things to practice still. 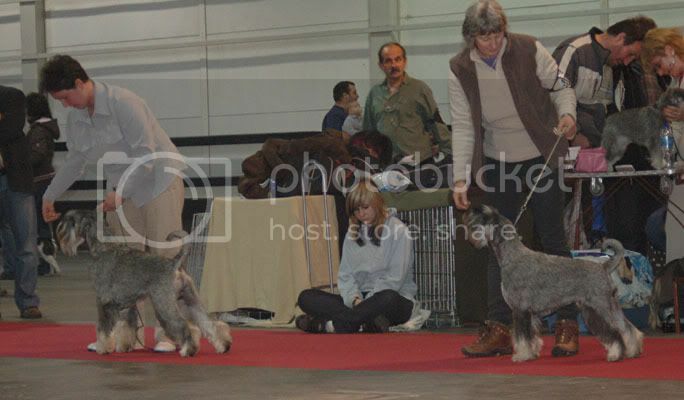 We started our new show season with an unforgettable success! 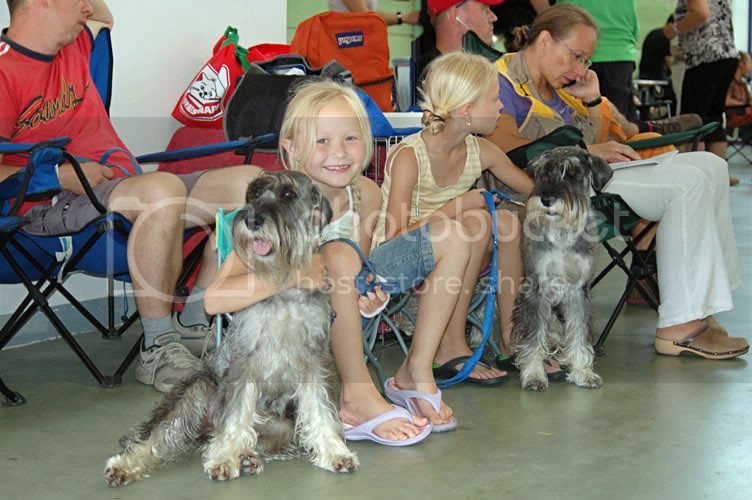 Our 2 youngsters participated at a national show in Kapuvár on 2nd May. 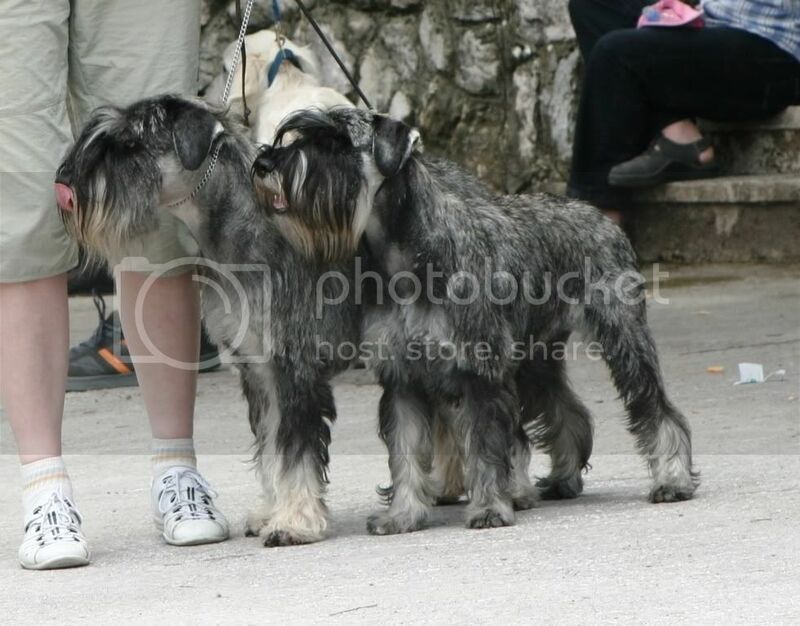 Many thanks to Szalánczy Gábor for this 2 beautiful photos! Big congratulation to Irina and Alpha! 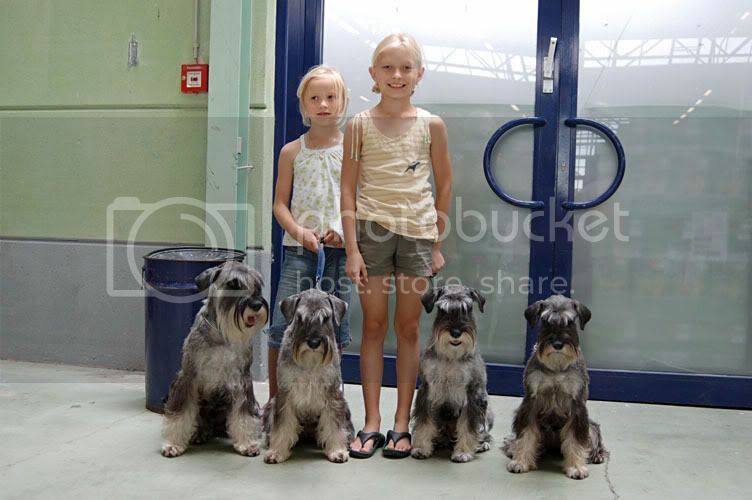 We were at the Profivet Veterinary Center (Dr.Muka Péter Pál) on 16th April 2010. Robin (Absynth Drink of Daiquincy) began his showcareer as junior! 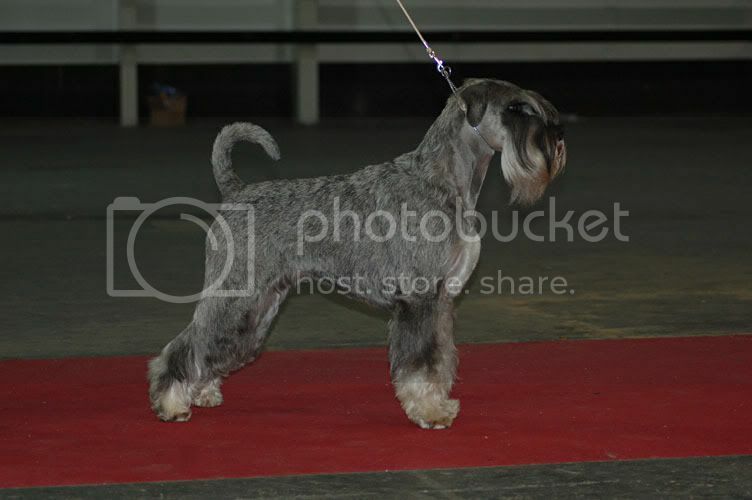 He won Jugendsieger and Best Junior on CACIB show in Wieselburg (Austria). He is 14 months old. 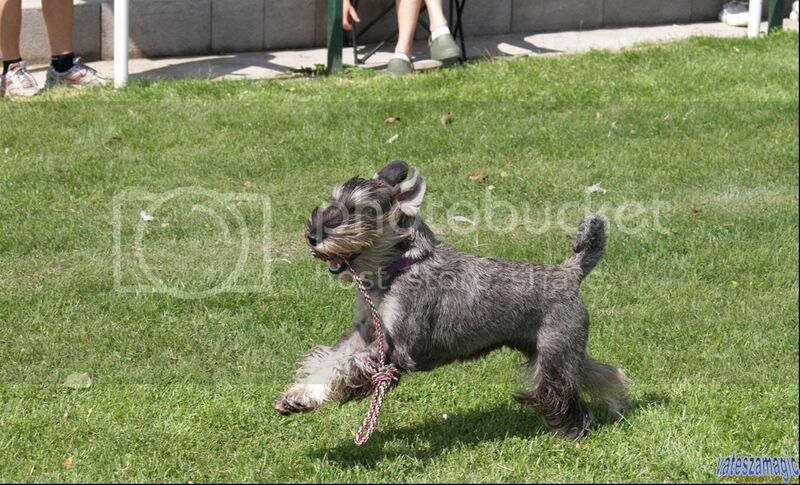 More funny photos in our photoalbum! where she won2x J.KCH. and 2x Best Junior. Many thanks and Congratulations Irina and little girl! Tico has 2 new Champion titles! He was in Minsk on 2 International Shows on 6-7th March. 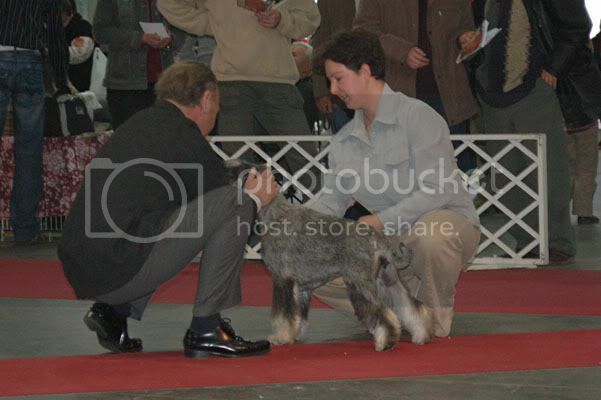 He won 2x Junior Winner and 2x Best Junior. Thanks and congratulation Irina Trubnikova and Tico to the beautiful results! 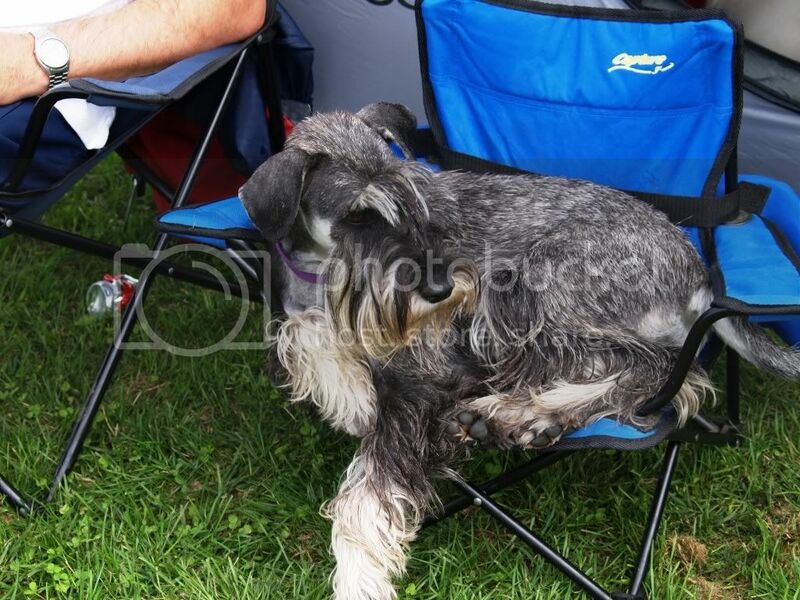 The dogs of our kennel achieved great success at shows again. 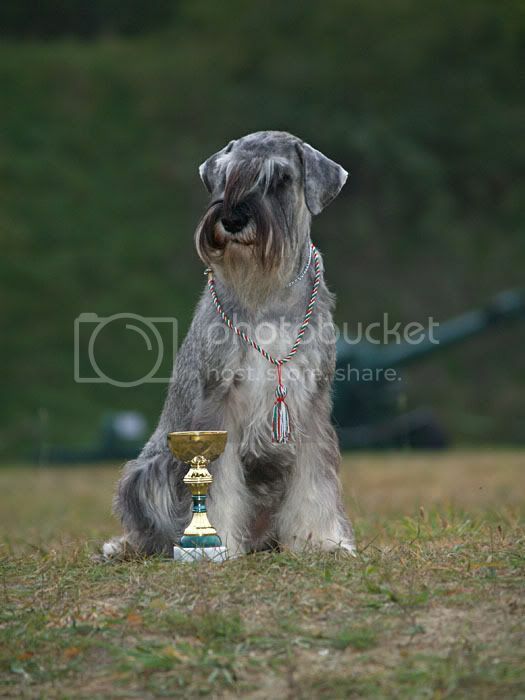 Alpha (All Foold' Day) Junior Champion of Latvia. 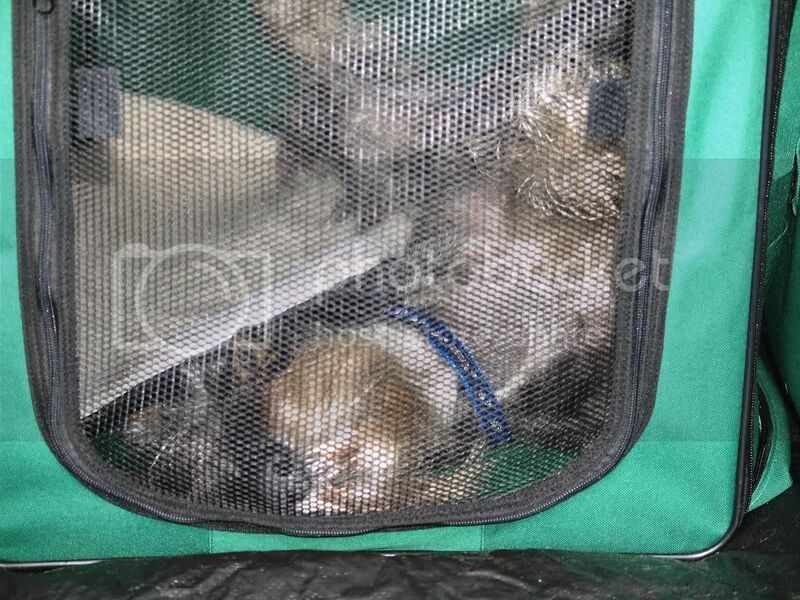 We got nice news from Russia: 11 puppies were born at the Ave Concorde kennel on 7th February. The proud parents: father Tico, the mother Eu.W. Ave Concorde Rumba. Congratulations to "our first grandchildren"! We came to the last round of the Winter Cup series. The judges came from Slovakia, Iveta Lukacova and Roman Lukac again. Unfortunately, this was not our day. The agility course was very difficult, not really the level of 1. After the compatition we took a trip. Where made "some" photos. More photos can you see here (album of the 2009/2010 Winter)! he acquired the last JCAC and the Best Junior titles in Moscow. 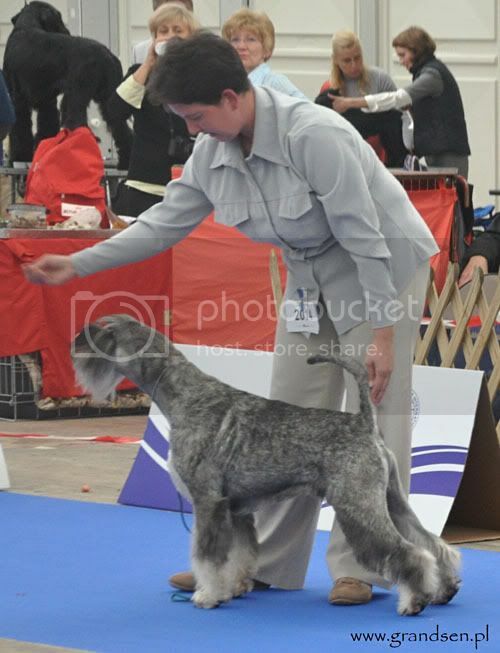 Big congratulations to Irina Trubnikova and Tico! We wish you a lot of success in the new year! The judges were Iveta Lukacova and Roman Lukac from Slovakia. so in the cupserie we are with 43 points tie for 3rd place. The whole competition is perfectly similar to a 1999/2000 series, on which I participated with my Alex. but if we would perform 2 nice runs, I would be very happy. Our video are on the Youtube!